After enjoying the Nigeria Reggae Festival in Awka from 29th september-octorber1st, Anambra State, participants will get the opportunity to tour Anambra State and explore her rich roots.Anambra is a state in southeastern Nigeria. 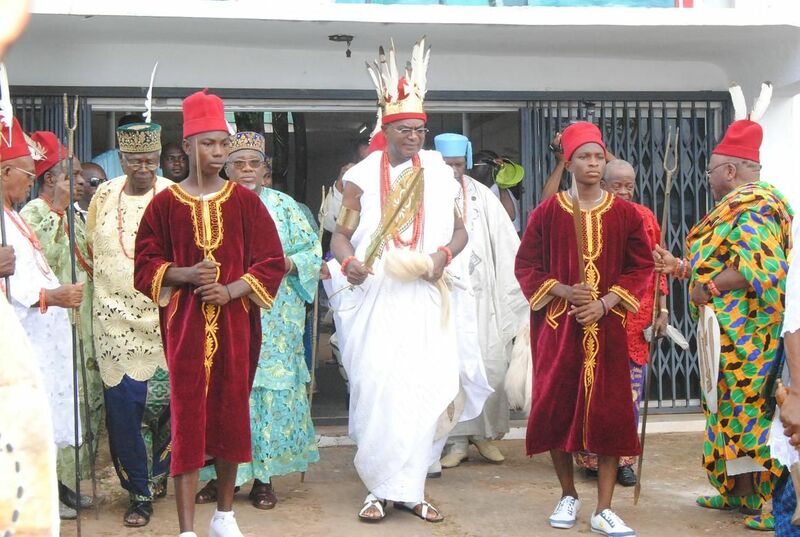 Its name is an anglicized version of the original Oma Mbala, the Igbo name of the Anambra River. Awka is the capital and seat of government in Anambra State. Visitors at the Festival will be able to join Nigeria Reggae Festival (NRF) on an incredible ROOTS adventure through Anambra, Nigeria and visit the state’s deep heritage and culture, see ancient monument, and spend time reasoning with local sages. A trip to the famous River Niger, which was discovered by Mungo Park, will give tourists a sense of connection with the historical values of the land. The Tour will include visits to geological high and low points, ancient religious centers, clubs, and locations with historical background in the state. Tourists will also be treated to a closed cultural exhibition on the penultimate day of the tour. This cultural exchange program will feature local games play, indigenous food, local fabric, folk music and dance, and create a platform networking and cultural exchange in the process. As a cultural exchange, tourists will also get the platform to present some roots art from their origin. During this tour, tourists will also get the opportunity to engage in environmental protective cleanup projects and tree-planting. After learning and visiting great destinations in Awka and the rest of Anambra state that tell its great history, tourists will be taken to the prestigious Nnamdi Azikiwe University, which was founded in honour of Nigeria’s first executive president, Late President Nnamdi Azikiwe. This is intended to give tourists a great perspective of the city and its culture-rich history. Anambra state features a lot of riversides with beautiful birds, ﬁsh and, wildlife also great places to swim. Join NIGERIAN REGGAE FESTIVAL TOUR and enjoy this memorable event. *Tour Cost: $2300. Deposit $300 by June 5th. *Tour cost after June 5th-$2500. Deposit $500 by July 3rd. *Please make a $300 nonrefundable deposit that will go towards your tour payment by June 5, 2018. The rest of your $2000 NRF tour payment can be made by July 3rd or before. Travelers that join the tour after June 5th will need to make a $500 non-refundable deposit by July 3rd this will go towards your tour payment. The rest of your $2000 NRF tour payment can be made by July 3rd or before. Tour includes: Tour transportation including airport pickup and drop off, All Room Accommodations, all recreation equipment & gear, All Meals as listed, and the Nigerian Reggae Festival Entrance, Local language speaking guides, Entrance fees to museums and parks. Invitation letters will be issued to help secure your visa. Not included: Flight ticket, Travel Insurance, Nigerian Visa, Entrance fees to non-listed venues, Laundry, Gratuities and Alcoholic drinks. Tourists are expected to arrive at the Lagos International Airport by 27th September 2018 and be greeted by our guide at the airport. From Lagos, tourists will board a local flight of about 1 hr 10 mins to Asaba, and then be conveyed by land to Awka, for about 45 mins, and be checked into their hotel rooms. Tourists may have already checked into their rooms the previous night. After acclimatizing a little to Anambra’s change in time, an orientation of Anambra culture and language will be explained. The Tour begins with the first day of the Festival and continues even after it. On the night before the Festival proper, the Tourists will participate in Dinner outing and enjoy Awka’s night scene. This dinner outing will feature majority of the performing artistes for the Reggae Festival. After lunch, tourists will leave for the Nnamdi Azikiwe University, Awka for the Seminar themed, Music as A Business: How Artistes Can Secure Their Royalties. This Seminar is scheduled to run from Seminar Time: 10am – 12pm. Followed by Interactive Session and Photo the seminar session. On their way back, the tourists will be treated to a local delicacy of Bush Meat and Palm Wine, if you’re vegetarian you have the opportunity to enjoy Nigeria Vegetarian food after which they will head back to the hotel. 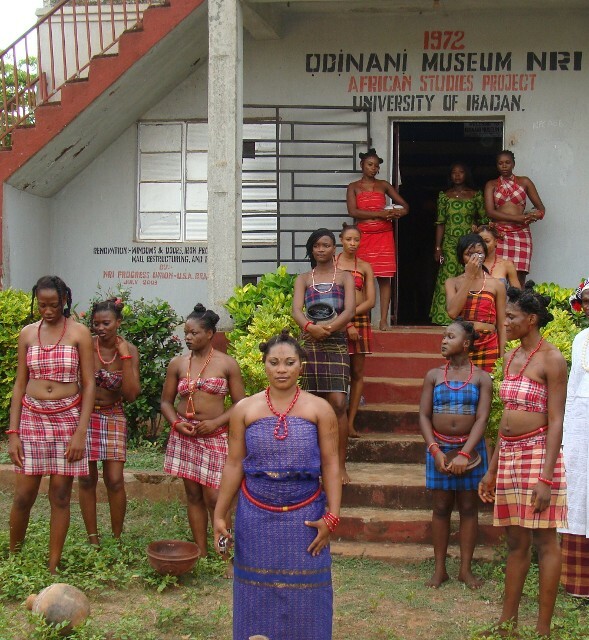 Tourist will be going to Odinani Museum, from where they will also visit.Ogba Water, Owerre-Ezukala after lunch they will be stopping by at the Igbo-Ukwu Bronze and the day will be capped by spending time at Aluminum Pot Molding. Lagos International Airport (Murtala Muhammed International Airport) is in the commercial center of Nigeria. 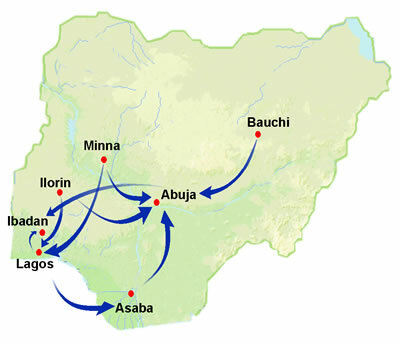 Lagos is a coastal city and harbors people from all over the world in tangible numbers. Asaba Local airport is in Asaba, the capital city of Delta state, an oil rich state in Nigeria, surrounded by rivers and rich in cultural values. 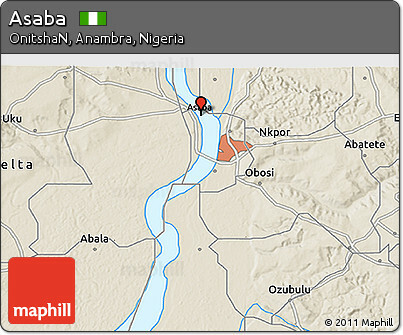 Asaba is only a few miles from Awka. Awka, the venue for the Festival is the capital city of Anambra state, the commercial hub of eastern Nigeria. 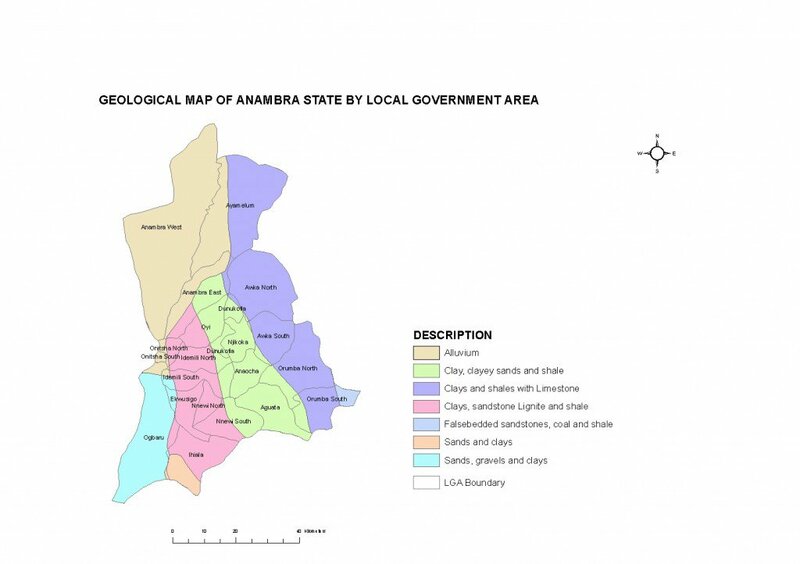 Anambra is partly surrounded by water and is rich in supply of water resources. *On the night of the cultural exhibition, the tourists will feature in a media session where they are expected to recount their experience of the tour and commend the experience of the Festival and Tour to the rest of the world. This will be used as testimonials for the next event. NRF will also implore the Tourists to send an email of their personal experience of the entire event. NRF camp on the River Niger.